Let's go back to starting positions. I'm more comfortable this way. 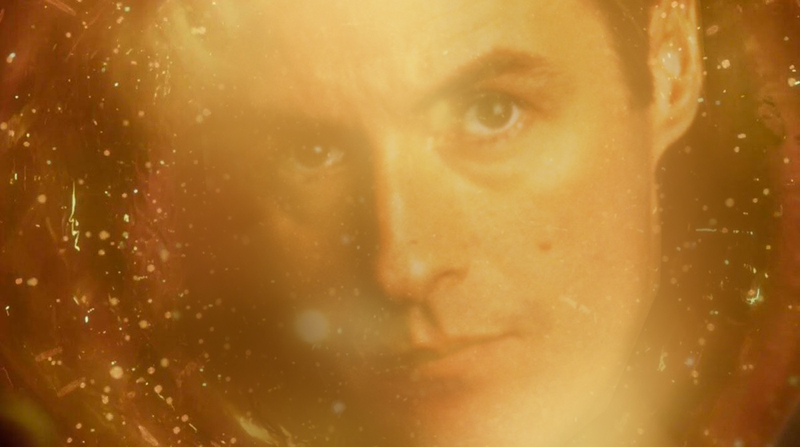 So, how do you think they're going to resolve the Phillip Jeffries thing with Bowie being deceased? Forgot you asked that. I don't know know tbh. Probably in the same way they're handling the Sheriff Truman thing, with him being perpetually off screen. Well, thank you for not mentioning Judy, anyway. We're not gonna talk about Judy at all, we're gonna keep her out of it. Just started 'Longmire' on Netflix. My faves are Seinfeld, Frazier, Andy Griffith, and King of Queens (mostly because my wife likes that show). Also close to finishing up Twin Peaks (the first two seasons). Honestly, I don't watch a lot of TV; I do like documentaries, though. I love all those. Haven't seen Longmire. Let me know if it's any good. I haven't checked out Longmire yet myself, though I'm told it's really good. Frazier remains one of my favorite sitcoms of all time...and it was a spin-off! I could never get into Seinfeld though I'll watch it if nothing else is on and I just need to decompress. It's been a LOOOOOOONNNNNNNNNGGGGG 2 1/2 months. And before you think I'm a bad parent for letting my 5 year old old watch TV, he only gets 1 hour/ day. The rest of the time he is at camp, going to the zoo, swimming, etc. So far, it's not too bad. I'll give it another 4 or 5 shows before I'll know for sure. Frazier remains one of my favorite sitcoms of all time...and it was a spin-off! It's not Netflix and I find the writing really witty. I could never get into Seinfeld though I'll watch it if nothing else is on and I just need to decompress. Do you like it as much as you liked Napoleon Dynomite? Napoleon Dynamite was complete garbage. I like Seinfeld a lot more than that. As ridiculously over the top as it is, it's nevertheless quite entertaining. Good character development that keeps me engaged. But good grief, we get it already: in the 50's and 60's women were basically slaves to misogynistic men. This show would have been really good if they would have at least tried to approach the subject with some subtlety. Bouncing between Game of Thrones, Dark Matter, Killjoys and Midnight, Texas. Good times. Best new episode of Twin Peaks yet. Sarah! "The business of the Christian is nothing else than to be ever preparing for death (μελεπᾷν ἀποθνήσκειν)." Modernist thinking and being consists of nothing but uncritical acceptance. As soon as it ended, I said the same thing. Best episode yet. It's all coming together now. *The whole "Jackrabbit's Palace" episode, start to finish. *The fact that it was Andy who came through as the leader there. *The fact that his new understanding was conveyed via action, not exposition. *The fact that the blind girl is now in our realm. *The Las Vegas FBI chief blacking out on his subordinate (as in RobS' gif). *We know more about Blue Rose than we ever have before; perhaps as close to a complete understanding as we're likely to get. *The crooked cop gets his comeuppance. *James works security at the Great Northern. *He seems to have found the source of the humming (so much for my Josie in the wood theory. Or is it?). *The British dude's story...and his Beatles reference. *Sarah. That's all I can say. I'm too overwhelmed to say anything else about who and what she is. *The fact that Lynch chose NOT to end on that high note, but takes us back to the bar for more mystery and exposition about Billy via more new characters, and a sub-par musical performance at the Roadhouse. The stones on this guy. I love it. 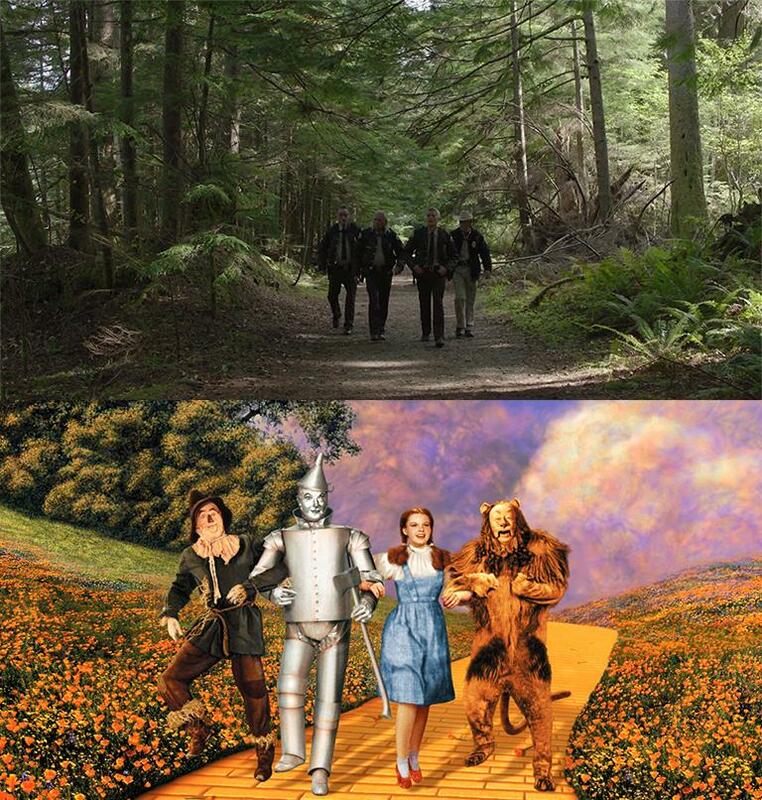 Have to love Lynch's continuing obsession with his favorite movie, Wizard of Oz. GARLAND Briggs anyone? Nobody likes Chads anyway. And the fact he was tormented by monkey noises makes it all the better. Mother...Experimental model...Laura is the daughter...There's a scene in S2 that makes a lot of sense now. What? That was one of the best musical performances of the series! There's a scene in S2 that makes a lot of sense now. It was my least favorite thus far, but there's no accounting for taste. There's a new show on Netflix about my neck 'o the woods called Ozark. Been meaning to get around to it. Any y'all looked at it yet? Yes! Sarah's always been permeable to the influence of the Lodge entities. The "traditional" interpretation before the new season began was that Windom Earle was the one using her here. Now, with "The Experiment"...or something else being inside of her, who knows? The question is, was she always a vessel for this stuff to the degree that she is now and kept it under wraps? Is she the girl who swallowed the locust-frog? Or, was she just susceptible to this stuff, and the misery of what Leland did to Laura pushed her deeper than ever? Oh she totally swallowed that frogbug! So SkyTV is reporting that Part 15 is 70 minutes long. Woohoo! Wow. And Bob's been tormenting Leland since he was a kid. And benign spirit Laura was dropped into the middle of that. Nice. I'm gonna go into withdrawal when episode 18 ends. Watched the first 2 episodes and it is hilarious. 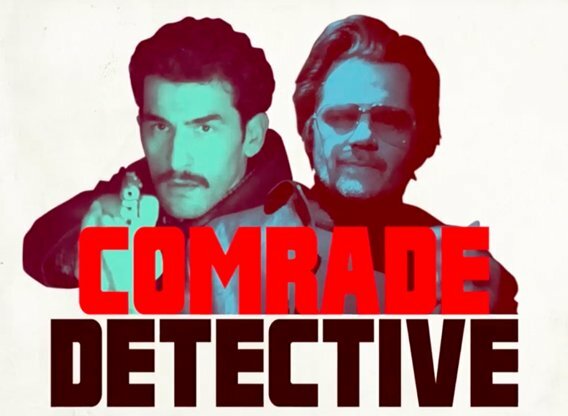 It is a deadpan spoof with the premise that is that "found footage" of a 1980's Romanian communist crime drama propaganda TV show. Filmed in Romanian and dubbed into English which only adds to the hilarity. This was a lot of fun. I thought the finale was a bit lackluster and the change in tone too drastic, but overall I really enjoyed it and am looking forward to a second season. 20/20 on ABC. Tonight, Matthew Heimbach. Is he mentioning religion in these interviews? You beat me to it! I was about to post almost exactly the same thing! And I think we're on our way to getting Cooper back. And we went to the room above the convenience store. And we finally saw the present incarnation of Phillip Jeffries. And we said goodbye to the Log Lady. Oh and gotta love that Sunset Boulevard scene. Cute. So you think Judy is a codename for Garland Briggs then? Might be. We saw a monkey speak Judy's name and then saw Garland speak the words "blue rose" in a later similar scene. Sometimes I think she might be Naido though. Probably not. Who was the woman who killed Duncan Todd and Roger? I'm loving all of the low budget effects. So retro. Much in keeping with the original run. Wow. Edit wow you're right. It didnt look like her. I just finished watching "Mercy Street Season 2": The story takes place in Alexandria, Virginia during the American Civil War but I think was fimed in Charlottesville. It makes all the news about the events in Charlotesville the last few days seem so understandable. I'm out in the boonies, have an internet connection worse than AOL dial-up, how am I gonna watch this finale with no buffering and higher than a 240p resolution? Longmire is entertaining - I like the characters - you root for the hero and he doesn't disappoint. A lot of it is themed in Northeastern New Mexico (Same territory as No County For Old Men) even though the story is set in Wyoming (some of that country looks similar but also quite different than New Mexico). I used to live "near" there so really like seeing that part of the country.